Enabling IPv6 is easily done via the VI client, Configuration -> Networking, click Properties and reboot host. You can enable IPv6 without actually configuring any interfaces (SC, vmKernel etc) with an IPv6 address. See VMwareKB1010812 for details of using command line to enable IPv6 and read this blogpost by Eric Siebert on IPv6 support. NetQueue (which was present in ESX 3.5 but is improved in vSphere) is a feature which improves network performance when sending or receiving large amounts of traffic to an ESX host, typically used with 10GB Ethernet. Without Netqueue it is normally impossible to achieve full 10GB throughput (read more in this Dell whitepaper). It does this by processing multiple queues in parallel, using multiple CPUs. As well as enabling the host functionality you may need to configure the NIC driver with vendor specific settings, typically using esxcfg-module. See VMwareKB1004278for details of enabling Netqueue for a specific 10GB NIC. In the real world it seems as if Netqueue performance is dependent on good http://premier-pharmacy.com/product-category/sleeping-aids/ driver online pharmacy reviews support – as this article at AnandTech points out some drivers aren’t much of an improvement over 1GB. TA2525 – vSphere Networking Deep Dive covers this in detail around the 1hr 15 mark. SNMP can be used to enhance management, typically by providing information either on request (polling) or when events are triggered (trap notification). Sending an SNMP trap is one of the standard alarm actions in vCenter. vCenter can only send notification traps, it doesn’t support poll requests. 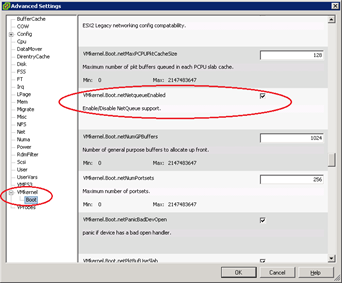 NOTE: There is NO esxcfg-snmp, and there is no GUI option for configuring hosts. ESX has both the Net-SNMP agent and a VMware hostd agent. ESXi only has the VMware agent. VMware specific information is only available from the embedded (hostd) agent. 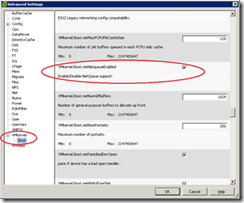 Using vicfg-snmp configures the VMware SNMP agent (ie it modifies /etc/vmware/snmp.xml). It does NOT configure the Net-SNMP agent. When you configure SNMP using vicfg-snmp the relevant network ports are automatically opened on the firewall. If you edit the config files directly you’ll need to do this yourself (esxcfg-firewall -o 162,udp,outgoing,snmpd for notification traps). See VMwareKB1022879 for details of editing configuration files or watch this video to see how to use vicfg-snmp – Eric Sloof’s How to configure SNMP. The vSphere Command?Line Interface Installation and Scripting Guide p.40 covers vicfg-snmp while the Basic System Administration guide covers it in more depth (page 50-65). You should load the VMware MIBs on the server receiving the traps you’ve configured. These MIBs can be downloaded from VMware on the vSphere download page. Follow instructions for your particular product to load the MIBs. This was covered in section 1.1. Obviously it can be used with 10GB NICs if high network throughput is required. Make sure you read the VMware whitepaper and experiment with migrating a vSS to a vDS. There is some discussion about whether to use hybrid solutions (both vSS and vDS) or not – see this blogpost by Duncan Epping for some background information. If migrating existing hosts or running VMs – use dvS GUI and ‘Migrate VM Networking’. When vCenter is virtual – if you lose vCenter then you can’t manage the vDS so you can’t get a new vCenter on the network. See Jason Boche’s thoughts on the subject. If an ESXi host loses its management network connection you may not be able to reconfigure it using the command line (esxcfg-vswitch is limited with vDS operations). An alternative solution is to ‘Restore Standard Switch’ from the DCUI.NOTE: The option above doesn’t configure a VLAN tag so if you’re using VLANs you’ll need to reconfigure the management network after resetting to a standard switch. I’m not sure about migrating templates to a vDS. Something to investigate…. NOTE: The above commands create a new standard vSwitch, portgroup and Service Console – typically used to recover from some vDS scenarios. There are very few commands for configuring a vDS and what there is I’ve covered in section 2.4 which is dedicated to the vDS. See VMwareKB1008127 (configuring vDS from the command line) and it’s worth watching the following session from VMworld 2010 (although you’ll need a current subscription) – session TA6862 vDS Deep dive – Management and Troubleshooting. See section 6.3, Troubleshooting Network Connectivity for more information.